Indulge yourself and book a romantic break or family getaway at Greenhayes. 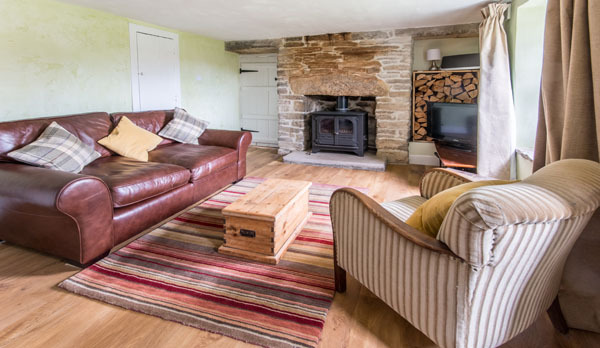 On arrival you will be greeted by a cosy cottage with freshly made beds, logs on the fire and spectacular country views. 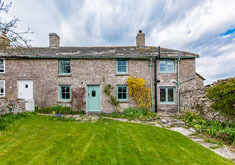 The semi-detached cottage was originally built in the 1820s as two cottages for the families of the quarry workers. 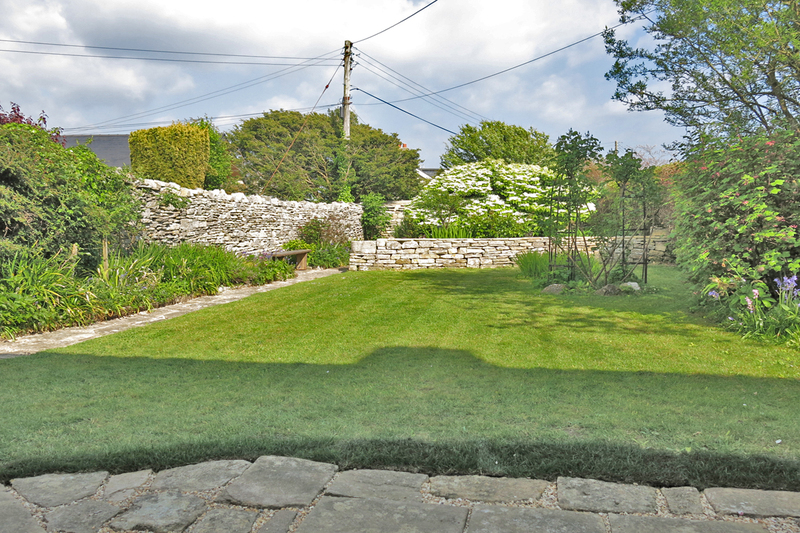 It is located in the heart of the village of Langton Matravers, just two miles from the sea. Greenhayes is ideally located to explore the Jurassic coast. 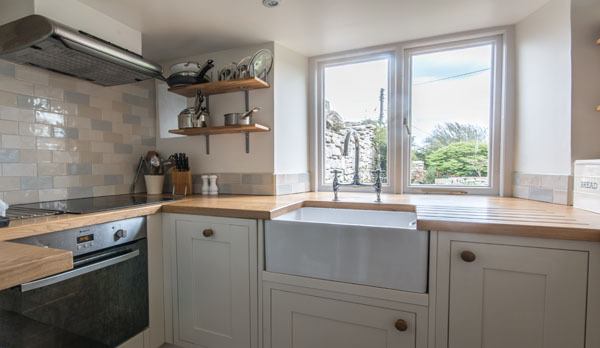 Stepping outside the front door you will be met by panoramic views of the Purbeck valley; rolling English countryside, down to the beach at Swanage. 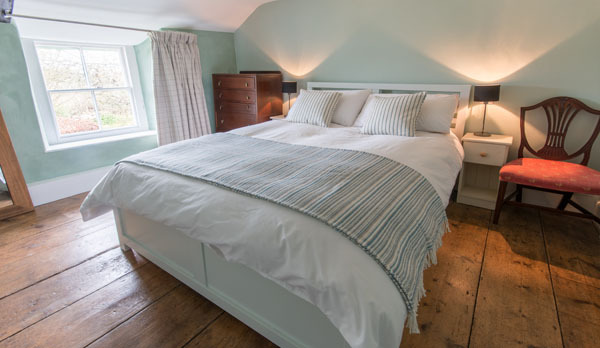 The cottage decor is very sympathetic to the age of the cottage but with the added benefit of well-proportioned bedrooms and bathroom. 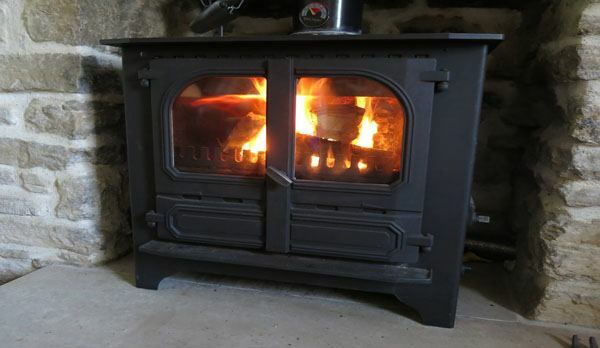 Adding to the romantic feel, the central heating in the cottage is powered by a woodburner, stacked ready for your arrival.For those bringing their four legged family, walking routes are plentiful and curling up in front of the log fire after a busy day exploring is sure to set their tail wagging. 2 Bedrooms. F/Floor twin (2ft 6), 2nd double room (ensuite WC). Lounge, TV, DVD and open fire. Dining area to seat 4. Kitchen with elec oven & hob, microwave, fridge/freezer, slimline dishwasher, washing machine, tumble drier. Bathroom: F/Floor family bath room with bath (shower over) & separate shower cubicle. Outside: Medium size enclosed garden with furniture & coal bbq. Parking for two off road. Heating - central heating with radiators fueled by the log burner (logs supplied) Hot water by immersion heater. Linen & towels provided for weekly and short break booking. WIFI. Travel cot (no linen) highchair & stairgate available on request. 2 dogs welcome. We had a fantastic week in this peaceful cottage with sunny weather nearly every day. So many places to visit without having to drive very far we ran out of time to do them all..... so will definitely have to return another time. Great walking for us and our two dogs who had the best time ever. Many thanks for such an enjoyable stay. Great to wake up to the sound of sheep bleating and birds singing! We had a wonderful week in Dorset, despite the rainy weather! A beautiful cottage and nice to know a bit about its history. Great to wake up to the sound of sheep bleating and birds singing. The wood stove was great and cosy in the evenings. Thank you for the welcome basket and well equipped, comfortable cottage! We really enjoyed our week in this beautiful spot. Plenty of walking and some good food. especially the Scott Arms at kingston. Thank you for the 'goodie basket'! Had a lovely week, just what the dr. ordered. Thanks for the welcome basket! Thanks for the welcome basket- much appreciated. Had a lovely week enjoying the walks from doorstep (3 car free days!) & taking advantage nearby bus stops. garden perfect & pretty. Highlights - a walk at Durlston Country Park, Brownsea Island & Studland. Plenty more to bring us back again. Had a wonderful week in Greenhayes, Lovely cottage. Looking forward to coming back. thanks for welcome basket. Lovely cottage, great walks & views. Cottage is in good location and the weather has been very good to us. 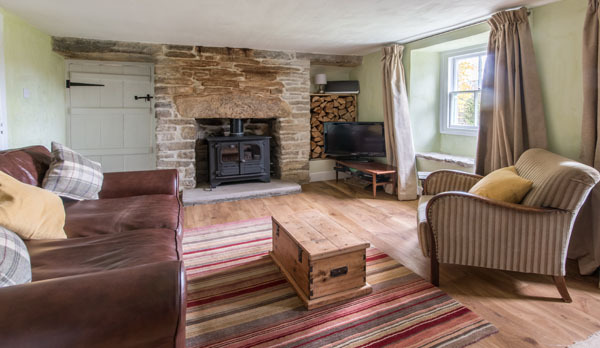 Delightful cottage, thank goodness for the log burner as it has been very cold in the evenings. Beautifully furnished & very comfortable - the welcome basket was much appreciated. Lovely cottage, has everything you need not far from the sea. Lovely walks nice welcome basket. Most of all lovely garden - niece loved it. We had the most wonderful week. The cottage is just perfect. Thank you for the lovely basket of goodies. First visit to this beautiful spot, we will most definitely be back! Thank you for the welcome pack! A Lovely week spent walking around this beautiful part of the country. Perfect little cottage - everything we needed for a great stay. .Thank you. Super week with glorious weather - beautiful cottage. Very peaceful. Lovely to walk across the fields. Great swimming in the sea at Swanage Studland. The baby bunny outside the front door was very cute! Hello, We really enjoyed our stay at Greenhayes. The house was very cosy, dripping with character, and had just about everything we needed. Thank you to the owners for leaving the very welcome necessities of fresh local produce for our breakfast - very thoughtful. Apologies for not leaving a message in the book - we overlooked this in the family rush to leave by 10am! Something that I'd like to suggest is extra heating in both bedrooms as well as the bathroom and dining room as the central heating only works from the log burner, which we loved using in the evening, but as we were going out every day we couldn't light the fire and wait for it to heat up just for breakfast. Also, our little family saloon only just managed the stony track down to the house, but perhaps potential visitors should be warned. I know this is a rural experience, but we don't all own 4x4s! Many thanks to the owners for their generous hospitality. The location was brilliant and the cottage itself was so clean and comfortable; one of the best self catering properties we’ve stayed in. As above! We shall certainly consider staying there next year. Loved our holiday at Greenhayes - it is such a quiet spot and lovely to just relax in the garden or walk from the house in any direction. It is well placed for the coast from Studland around to Lulworth, all are within easy reach. The cottage has so much character and is well equipped, having a BBQ was great fun. 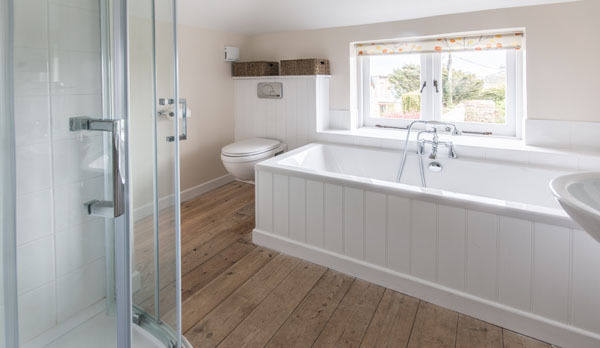 Very well equipped comfortable cottage with lovely peaceful garden, ideally situated for local footpaths and bus connections. Welcome pack was much appreciated and very thoughtful including bread, butter, milk, tea coffee etc. The cottage was very clean and comfortable and probably the most well equipped one we have stayed in. The only set backs were that the torch in the kitchen had no battery (discovered when we had a power cut at 10.30pm) and we couldn't find the operating instructions for the panel radiator in the lounge. We would be more than happy to book this property again. All agency staff were most helpful, particularly Gareth who we called out late at night (and made him spill his cup of coffee!). Follow up phone calls to us by the agency made us aware that they actually cared how we got on. Had a great week in this lovely cottage. Had a wonderful week in Dorset in this lovely cottage with everything you need and more provided. Welcome basket much appreciated. Looking forward to returning to Greenhayes another year. Cottage of excellence for us! Cottage was clean, well equipped and spacious. The welcome basket was very much appreciated. The enclosed garden was thoroughly enjoyed by our GSD. Parking by the cottage was an added bonus. We had an excellent week and the sun shone! Best cottage we've holidayed in...thank you. My family and I spent a week at Greenhayes and it was amazing! Perfect base for exploring Dorset. We were very sad to leave and will definitely be returning. Lovely cottage , in rural setting. Well placed for walking across to places of interest. Well equipped cottage in a great location with a good bus service if required. Good to have a nice garden to relax in ( with a glass of wine) after a day out!!!!! Great cottage and fantastic area with so much to do. Many thanks for the welcome basket. We have had a great time in Dorset and every day we have loved coming back to the homely cottage. The cottage is well equipped and the garden is a great space for the children to play. Thank you very much for the welcome basket and flowers! 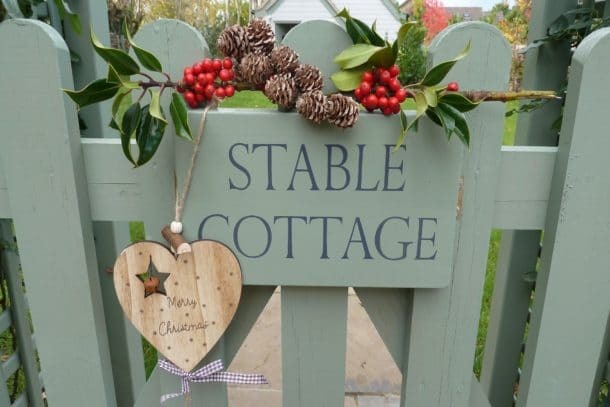 A lovely sweet cottage in a peaceful location with lots to do in the surrounding areas from gorgeous beaches to good walks, castles, pubs and museums! Enough to keep us all busy 🙂 Thank you for the welcome basket and flowers... they were a lovely touch! Over for a wedding in Studland and really enjoyed our week in this lovely cottage garden. Fabulous walks,good pubs, lovely tea rooms in Worth... thank you for the welcome basket and thoughtful preparation of the house. We hope to come back one day! We have loved our stay in Greenhayes, clean, well equipped with a lovely garden. Our highlights include Knoll; Beach, Steam train and Corfe Castle, lunch at Lulworth Cove Inn - all children friendly! Would recommend Java Coffee in Swanage for great coffee and ambiance - nicer than Chococo! Thank you for the welcome basket! Lovely cottage! Would definitely stay again! Have enjoyed our very relaxing week in the lovely cottage - so peaceful and in a wonderful location. Have sampled some of the suggestions in the visitors book, which have been very good, especially meal at The Scott Arms, and coffee at Worth Tea and Supper Room. Many thanks for the lovely welcome pack and beautiful flowers! 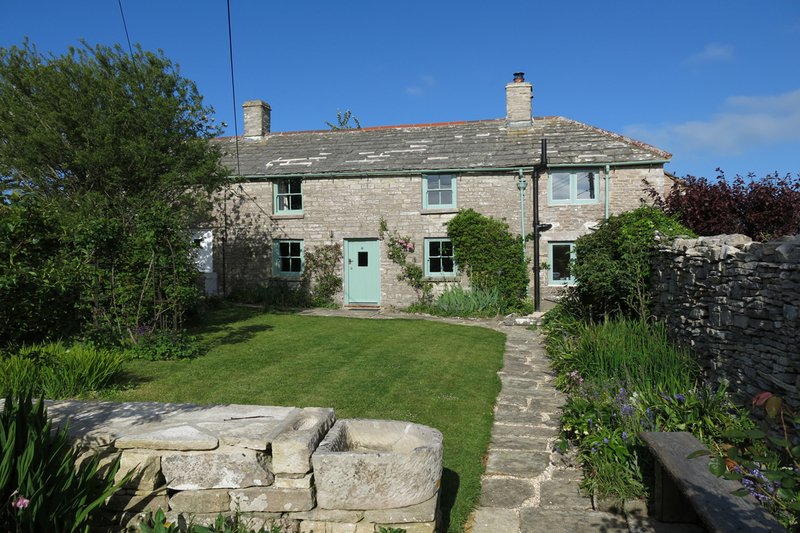 Had a great week spent in Greenhayes cottage perfectly placed for Purbeck walking. The cottage was well equipped and comfortable with a lovely cottage garden. We had a small issue with the kitchen tap but this was sorted out immediately by the owner who was extremely helpful. We would definitely recommend. Spent a lovely week in Greenhayes, beautiful garden, great views and good location for Purbeck walks. Very comfortable cottage and well equipped. Lucky enough to enjoy some glorious weather this week.